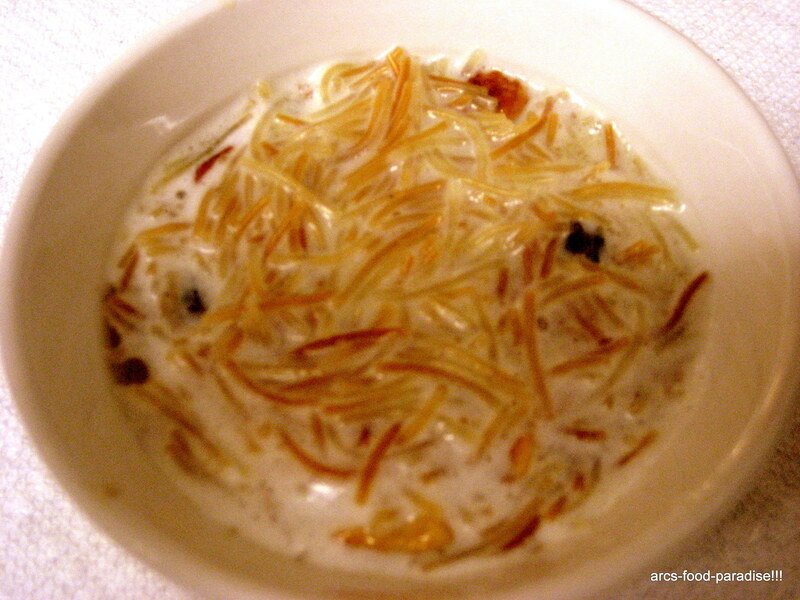 Semiya Payasam | The Flavor Nook! 1. In a wide pan, add the semiya and dry roast for a few mins until it is lightly brown. Keep it aside. 2. In the same pan, heat about a tsp of ghee, add cashews & raisins. Fry until slightly brown and keep it aside. 3. In another skillet, take about 3 cups of milk and slowly get it to a boil. Now, add the sugar and stir it for a minute or two. 4. Take out the cardamom seeds, crush them finely using a rolling pin or a grinding stone (or add about a tsp of store bought cardamom powder) and add it to the boiling milk. The cardamom gives the milk a nice flavor and aroma. 5. Now, add the semiya to the milk and stir it well for a couple of minutes. Place the stove setting on a little less than ‘medium’, cover and cook for about 8 to 10 mins. 6. Now, add another tsp of ghee, garnish with cashews and raisins and serve. 7. This is one of the quickest and easiest sweets to make and relish.